. :100 Foals Challenge: Thompson-Denney Legacy:. I decided to create a new one and have steadily been making progress.. and after many cups of I think I'm ready to share. I've decided to try a longer version of the same challenge. Instead of 50 Foals it will be 100 Foals spread through 4 Mares. So each mare will have 25 foals each. I came up with this idea on my own and it seems fun so far, I'm using stallions from the EC, adopted in game, and downloaded from the Exchange as well as stallions that are in my Friends' studios. 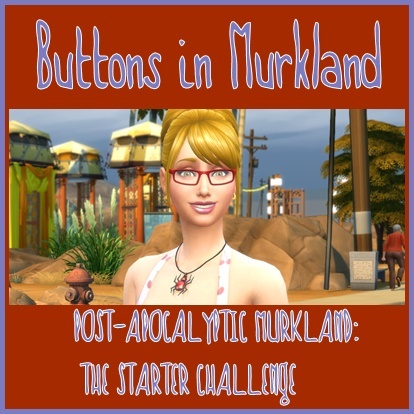 I hope that you enjoy this challenge and the journey my Sim Amara is embarking on. Amara is currently at Uni going for her Science&Medicine Degree. She will be there for two terms so most of the postings will be of her experience at Uni for the moment. Amara Thompson is a bright ad inquisitive young woman with an affinity and critical eye for horseflesh. Her dream is to be a professional Jockey and raise 100 fine horses of all breeds and colors. She used to live in the small town of Sunset Valley but now resides in Appaloosa Plains. The resident famous families include the Darnell's and Hobbles who are helping her get started. I will also be using stallions I’ve found and downloaded from the Exchange. Proper credit will be given along with pictures and links to where the stallions can be found. I hope you all enjoy my challenge and the foals produced! Here is the start of my Challenge and Legacy. UPDATE: Amara has 7 children and her first grandchild. Almost all of her children are now adults and soon to be living on their own. Amara married Otis and both are doing VERY well! Amara and her small herd of horses moved into their new house in Appaloosa Plains. It was smaller than what she was used to but she planned on saving up for a bigger house just as soon as she got her Degree from Uni. The horses seemed to love their new home and all the running room that was made available to them. Amara and Acorn had a special connection to each other and she loved showering her mare with treats and praise. Acorn had been taken to the EC and the sire chosen for her first foal was a beautiful Buckskin colored stallion named Cashew. The resulting foal would be really lovely. Amara was an upcoming Writer and she started working on a series of baby books called the Genius Baby series. So far they were very popular and she was working on her third in the series. She was also looking for romance and on occasion wrote love letters to some of the eligible bachelors in town but no one replied at least not yet. All of Amara’s horses were happy. Acorn and Clarke, Amara’s newly acquired stallion were getting along beautifully. A wild stallion named Shadow had made himself at home after taking a liking to Acorn. Emir and Ronin two more stallions were bought from the EC and even though there were four stallions on the property none of them fought and got along smoothly. Amara settled into routine fairly quick. She worked with her horses every day and made sure they were fed and groomed. Household chores were abundant as was caring for her cat Lyra, she didn’t like litterboxes but loved her cat so compromises were reached. When thunderstorms rocked the area, she had to calm the panicked horses quite often, especially Clarke. Amara hoped that Clarke’s nervousness didn’t pass onto his foals. Several weeks later Acorn gave birth to a beautiful white and brown filly that Amara named Chestnut. Chestnut had an odd color pattern but that made her more special. She was simply adorable and Acorn was a proud and protective mother. Amara immediately started a bond with the little filly and routinely bottle fed her every morning. It seemed that Chestnut looked forward to these feedings. Wild horses seemed to be a common sight around Amara’s house, even Chestnut was confused by their presence but got along with them fine. Acorn nursed Chestnut whenever she was hungry and Chestnut was a very happy and contented foal things were wonderful. Amara didn’t have much time on her hands to train Chestnut but the little filly aged up into a beautiful mare. Acorn and Clarke had already gotten together and Acorn was pregnant when Chestnut aged up so it was all timed perfectly. At that same moment, Amara had taken the entrance test for University and was leaving the next day. She decided to sell Chestnut to the EC in the hopes that she’d find a good home. She received $7,778 for her mare, the EC was happy to take her on. Amara was shocked at the amount of money she was given but smiled in thank. With a newly acquired $7k in her pocket she was ready to begin her studies at Uni. Later that day, Amara decided to ride Shadow down to the EC and become acquainted with some of the riders that frequented the place. He was also being sold so she brought Ronin along to ride home on and let him graze outside. Shadow was put up for stud just before being sold and brought in $7,128. Not a bad amount for a wild stallion. Amara would miss him but she needed the room and couldn’t keep every stallion she came across. Now she had another $7k to go towards her tuition and trip to University. Not soon after Shadow had been sold, Acorn gave birth to her second foal, a little filly (>.< yes filly), named Lulabelle. You couldn’t even tell that her father was a Palomino; she was a carbon copy of her mother right down to the spots. She was born on a wild and rainy night. Not long after the little filly’s birth Amara left for University. She was going for her Science and Medicine degree! Chapter Two: University Bound and Amara's Life-changing Experiences! The trip to the University went well and she was soon settled into one of the many co-ed dormitories’ available. She found and claimed her room then immediately set the boundaries for her new dorm mates, though that didn’t stop some of them from trying out her new bed. Amara attended the Meet’n’Greet at the main building only to find someone who took an immediate dislike to her. Too get her revenge; Amara threw the Tragic Clown elixir at the feet of a Miss Ruby Parks. The effects were seen instantly. Maybe next time Ruby wouldn’t be so rude to someone who has skill in Alchemy. Amara did feel a little bad but not too bad. Amara studied for her upcoming exams and made new friends. She was also the unfortunate victim of a hungry vampire. The she-vamp followed Amara back to her dorm and cornered her. Bit her and ended up turning her. Poor gal her first day and night at Uni was quite a roller coaster ride. Things would get better for her soon! At first nothing happened but after about a week, the bite’s effects were apparent and Amara’s life was changed forever. She couldn’t stay mad at her new coven sister and instead they became very good friends. Amara and Yuki now had something in common and frequently hung out together just catching up on gossip. Amara did have the urge to hunt for plasma herself and some of her victims were even other Supernaturals. So far she was easing into life as a vampire pretty easily. She was a natural. She made friends with other Supernaturals like herself including a Werewolf and a PlantSim. Both seemed to like her and wanted to be more than friends but she wasn’t interested in them that way so friendship was as far as it went for all the parties involved. She was also good friends with the humans who lived at her dorm. She was especially close to a young man named Blaire. Not long into her stay at University, one of her dearest human friends, Blaire died. He was overcome by hunger and no one could save him. Amara was devastated and vowed to bring him back to life somehow. She kept his remains and made a small shrine for him in her room. She missed him dearly. Blaire’s death had the entire dorm melancholy for weeks after that. Amara vowed to keep food in the fridge at all times so that the other humans in the dorm wouldn’t meet Blaire’s fate. She also hired a butler by the name of Otis to help keep up on the cooking and cleaning. Amara found a female husky mix that was hanging around the dorm. She named the dog Laora and decided to adopt her. Once Amara went home, Laora would go with her. She bought a dog house, food bowls and toys to keep the pup occupied while she was in class. The dog fit right in and was welcomed by everyone. When Spooky Day came around, Amara carved pumpkins to decorate the dorm with. Laora watched these proceeding with great interest and even stayed with Amara as she worked on a Cat carved pumpkin. Not long after the celebration, one of Amara’s dorm-mates Dave, started a fire in her room by leaving the fireplace unattended. Luckily very little damage was done but Dave was very embarrassed by the whole ordeal and also because everyone glared at him as the butler finished extinguishing the fire. It was one heck of wild term. Soon Amara’s first term ended and she was on her way back home for a well-deserved holiday before returning. She had fallen in love with the dorm’s butler, Otis Denney, and they started going steady soon after. Her life was getting a whole lot better! Chapter Three: Baby On Board and Married Life Begins! Chapter Three: Baby on Board and Married Life Begins. After returning from University with Otis and Laora, Amara discovered she was pregnant with Otis’ baby, she was starting her own family. She was going to be a mother. Otis was overjoyed when she told him the news. She was worried that he would be afraid or angry because of the chance that the baby could be a vampire. He couldn’t be happier and doted on her endlessly. Giving massages, cooking her meals, even though he knew that she didn’t eat human food; Amara ate it to please her boyfriend. He loved his new family and proved it everyday. He even upgraded her computer and made sure that things around the house were in good running order. Then one night as Amara finished eating a Plasma Fruit, Otis had a surprise for her. He lavished her with another massage, gave her a bouquet of roses, then proceeded to get down on one knee. The shock on Amara’s face was priceless as Otis asked her to marry him. She immediately accepted and amorously hugged the love of her life, mindful of her growing stomach as he slid the ring onto her hand. She was the happiest woman in the world. Amara didn’t let being pregnant stop her from doing her chores and taking care of her horses. If anything it helped with her boredom. She wasn't able to ride them so she made sure that they had hay constantly and that their water troughs were filled. Her books were also doing great and she was on her third one after her first two became best sellers. She was looking forward to seeing her baby and secretly wished for a beautiful little boy. She spent a great deal of time in her greenhouse taking care of her plants and also enjoyed the solitude of a soak in the hot tub. Being pregnant wasn’t so bad she liked it. Next installment: Meet Baby Sebastian! Vampires, Witches and Pets....Oh My! The poor dear was only trying to get an education. But looks like she got more than she bargained for by the end if the term. Yes unfortunately for her, she had quite a trying time at Uni. She still has to go back but is a little reluctant after her first experience there...not that I blame her. Very exciting life Amara leads. Great read. Sorry for going MIA I know it has been quite a while since I was last here. I've been so busy with my schooling that I lost all track of time. 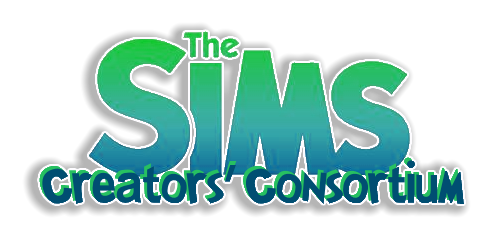 I'm so close to my degree I had to put my story on hold...then I lost the original file...had to start over luckily I had backups of the entire family so I didnt lose my sims...just their original game files. I had to start over with new foals but that makes it fun. I am looking forward to being back here and chatting with everyone again! Working hard on both my challenges (doing a few at once) and my school work. I hope all has been well with everyone and I am glad to be back with you all!! Hello Chelsea Glad to see you here! Thank you both! Hope everyone has been well. I'll be working steadily on rewriting my challenge and posting the results. I hope you all have had a great Summer! Back to school for me in 3 weeks or so! It has been a long journey. I've maintained a 4.0 GPA for 4 straight Terms and also a high position on the Honor Roll. I'm working toward my Associates in Early Childhood Education with the goal of becoming a Preschool Teacher or opening my own Daycare. I'm 16 classes away from that goal and est. graduation date is early 2016-2017 I'm determined to get my degree!! Subject: Re: . :100 Foals Challenge: Thompson-Denney Legacy:.